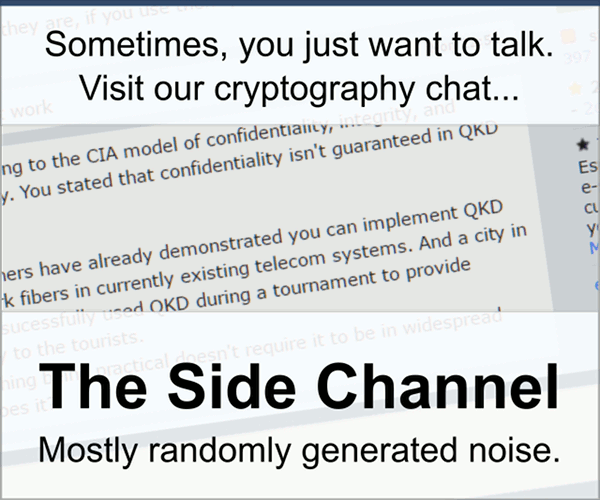 Why does adding PKCS#1 v1.5 padding make RSA encryption non-deterministic? I'm quite a beginner to cryptography, but have been implementing some encryption according to a specification over the last few weeks using the PyCrypto library. I've discovered that when encrypting using RSA public keys alone, encryption appears to be deterministic (meaning encrypting the same message multiple times results in the same cipher text). However, once I add PKCS#1 v1.5 padding, it becomes non-deterministic (the cipher text differs on subsequent encryptions). My question is: why are there differences in determinism in these two cases? I understand why non-determinism in encryption is useful (to prevent an interceptor noticing two messages are the same), but why does RSA encryption alone not offer this, and how does padding add this? Is this one of the purposes of padding? When you use textbook RSA, the public key is $(e,N)$ and the ciphertext of a message $m$ is $c = m^e\bmod N$. The encryption process of textbook RSA involves no randomness; this causes the problem. It is easy to see that when having $m_1=m_2$ the ciphertexts of them $m_1^e =m_2^e \bmod N$. Hence you can see where determinism comes from. When using a Padding scheme like PKCS#1 v1.5, one important aspect is that the padding is random, thus differs each time when you encrypt. In PKCS#1 v1.5 for RSA, $m$ is padded to $x=0x00||0x02||r||0x00||m$ and the ciphertext is $c=x^e\bmod N$ instead of $m^e\bmod N$. Here $r$ is a long enough random string. Therefore, even having $m_1=m_2$, the ciphertexts of them will be produced over $x_1\ne x_2$, thus will looks totally different. Let $N$ be $k$ bytes long, then $m$ must be $\leq$ $k-11$ bytes long. The padded string ($x$) must be $k$ bytes long. Thus $r$ is of $k-3-|m|$ bytes long ($|m|$ is how many bytes the plaintext $m$ is), which is at least 8 bytes long. However, this may still not be enough. I remember in Kats & Lindell's book, it mentions that $r$ needs to be roughly half the length of $N$, in order to for us to consider RSA CPA secure. It is nice that you have tested if from the first hands. So, an attacker can modify the plaintext and create valid plaintexts. In order to prevent these, a padding scheme is necessary. Insert randomness to prevent 1 and format the data in order to see the modification in the ciphertext. Not the answer you're looking for? Browse other questions tagged rsa padding deterministic-encryption pkcs1 or ask your own question. Does RSA padding have to be unpredictable if the payload is? Is semantic security important in a hybrid cryptosystem? Is PKCS #1 v1.5 RSA encryption padding secure under these conditions? Are there any misuse-resistant asymmetric encryption schemes? Why PS does differ between PKCS1 v1.5 padding for signature and for encryption?